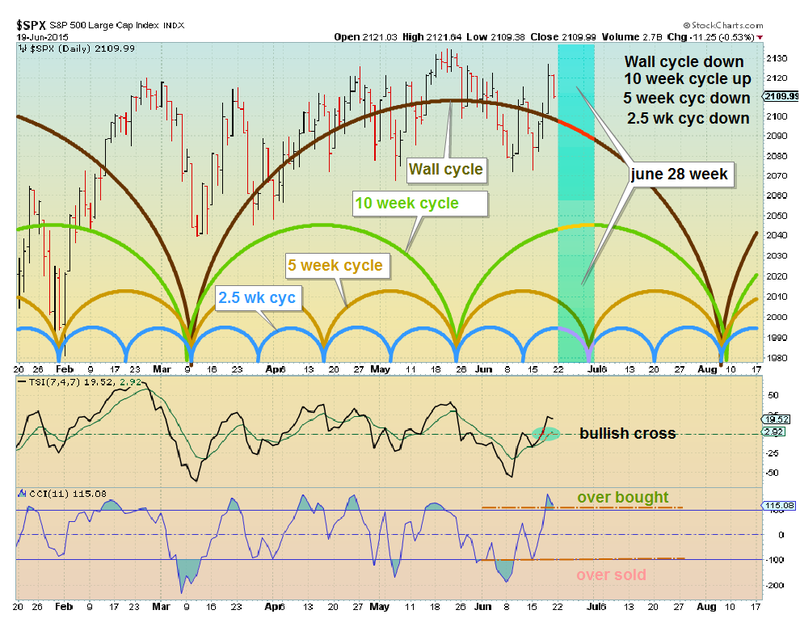 Appears my charts were off somewhat last week - (2-3 days). Hopefully I have made appropriate adjustments. 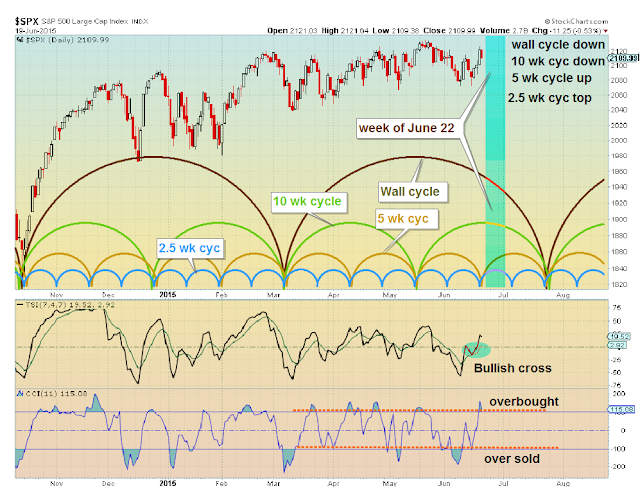 This week you have 3 cycles (Wall, 5 weeks, 2.5 weeks) down and one (5 weeks) up. 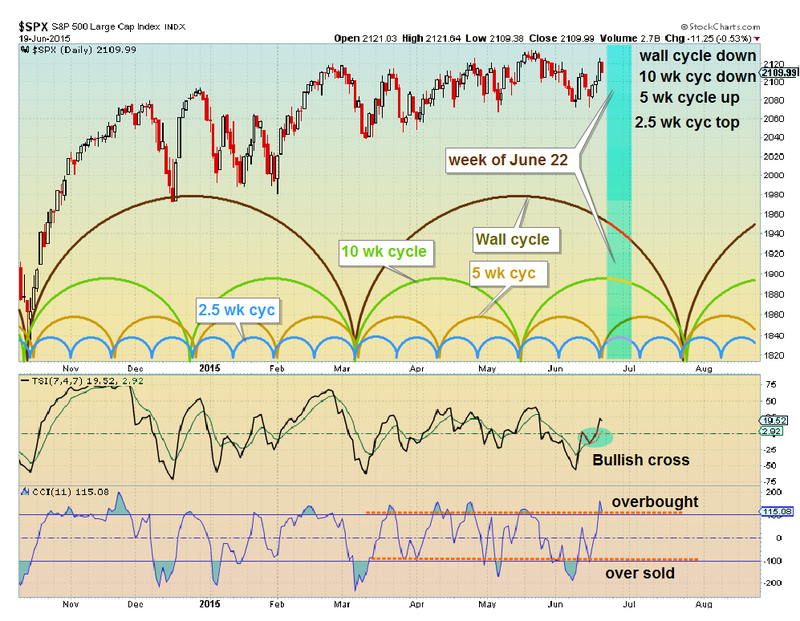 With cycle alignment it may be a stronger move than recent moves. So expectations for the week are a down market for the week.